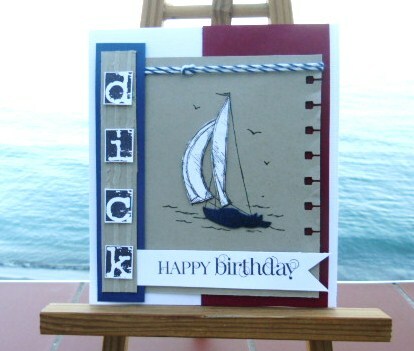 The perfect card for someone who loves their boats and the sea! Great colours and layout too. Sounds like you are in for a busy week!! Oh this is fabulous and the boat really pops. This is gorgeous sweetie I am loving the boat. Sorry I've not been leaving comments hun & not come by as often its hard keeping up isn't it lol.